In his latest book, the Chinese writer Yan Lianke chronicled Zhalie, a village of a few homes totally transformed by a couple passionate for power. Fantastic and realistic at the same time. Yan Lianke is with the Nobel Prize for Literature Mo Yan and Yu Hua, one of the most important contemporary Chinese writers. 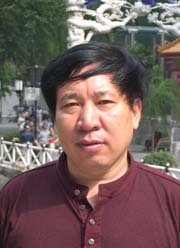 Yan Lianke, like others, was struck by the impact of the rapid development of the southern cities of China on their population of migrants returning rich to their village. Some residents, envious, explained that this was not a money honestly earned. And it is in 2012 that the author visited the city of Shenzhen and it’s amazing growth, which inspired the “Chronicles”. The people of Zhalie, a small village in Henan, the home province of the author, have the same dream: the first person / thing they will encounter on leaving their home will be decisive for the rest of their lives . This village of a hundred homes suffered from conflicts between the family Kong and his four sons and the family Zhu and her daughter Zhu Ying.The second son, Kong Mingliang, stumbles on a seal and met Zhu Ying. His life will be linked to power and to Zhu Ying. He ousted her father and became the head of the village. Both will develop Zhalie, one in the beginning with train robbery, the other by a network of prostitutes. The “Chronicles” will tell us how, in thirty years, Zhalie becomes a megalopolis of twenty million inhabitants. This novel is a satire, quite fantastic, but the absurd reflects the profound truth and not the one that appears on the surface. The nature gets involved; the plants, the animals are alive, almost human. Some developments are very beautiful and poetic. This fantastic seems natural and is not stuck on the story. For that, we should thank Sylvie Gentil who signs her third translation into French for Yan Lianke. This passion for power is at the center of the novel. For the mayor, Kong Mingliang, it is an obsession that has no limits, but unlike our politicians, the goal is not only to retain power but also to transform his village into a huge city, enormous changes welcomed by the population of peasants. A surprise, the Party is not present, we do not hear this term, the same goes with the word “communist”. 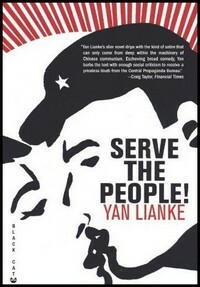 The elections at village level give rise to manipulations and corrupt transactions which do not plead in their favor.These choices allow perhaps Yan Lianke to vigorously criticize politicians both at local and central level without being threatened by censorship. Money and corruption are essential levers, the mayor knows how to play with them to achieve his objectives. His brother, the military Mingyao Kong, will resign from the army to develop his business and organize his private militia; he will oppose the mayor on the role of foreign investment in particular American in the development of Zhalie. One brother, the youngest, is not corrupt, takes care of his sick mother and tries with some success to preserve the family unity. But being an honest official is so unusual that his brother, the mayor, will ask a check for him at the psychiatric hospital! Zhu Ying, the mayor’s wife, the former prostitute who runs a network of brothels, is an interesting character. A woman of power who wants to be a good mother and a good wife for the mayor; twice she saves his career, while he is nonexistent as a husband or a father. She will take revenge on the Kong family who killed her father, but will disapear in the final cataclysm. The end of this staggering growth will not prevent the start of a deadly pollution. Political power will be eliminated by military leaders “who would like to correct the state of the world”. The ambition of Yan Lianke is not that of a polemist, his realistic and fantastic approach is literature and he wants us to “feel” this phenomenal transformation. 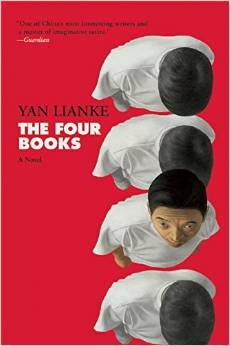 “Chronicles” are, according to the China Daily, among the five best novels of 2013 in China. 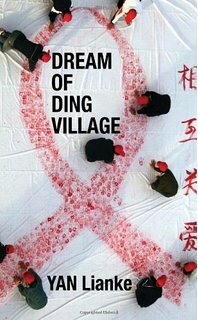 The Chinese public had not read “The Four Books”, “The Dream of Ding Village” or “Serve the People” which were totally banned. 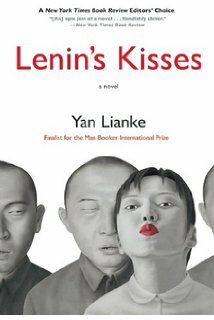 Yan Lianke lives and writes in China and insists to try to publish there. Only after twenty refusals he gave up and entrusted “The Four Books” to a Taiwanese publisher. He is censored but he is also a university professor in Beijing. He writes against censorship and specially the self-censorship it imposes to writers but regrets of being neither understood nor supported by the vast majority of his colleagues. He has published more than twenty novels and collections of short stories and after several literary prizes in China, he has just obtained the Franz-Kafka prize in Prague which honors writers for their work, irrespective of their nationality. In good company with other award winners such as Philip Roth, Amos Oz or Haruki Murakami, or even writers such as Elfriede Jelinek and Harold Pinter who obtained later the Nobel prize. Translations into French allow us to appreciate the different styles of Yan Lianke who, like Mo Yan, tries something new with each novel. But a collection of his short stories would be welcome. “The Forgotten Arm”, text translated into French for Le Monde Diplomatique, makes us wish to read more short stories. We would be happy to have papers of this quality under his signature in the French press. 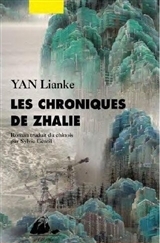 By Yan Lianke, translated into French by Sylvie Gentil. Philippe Picquier Editions. September 2015, 528 pages, € 23.